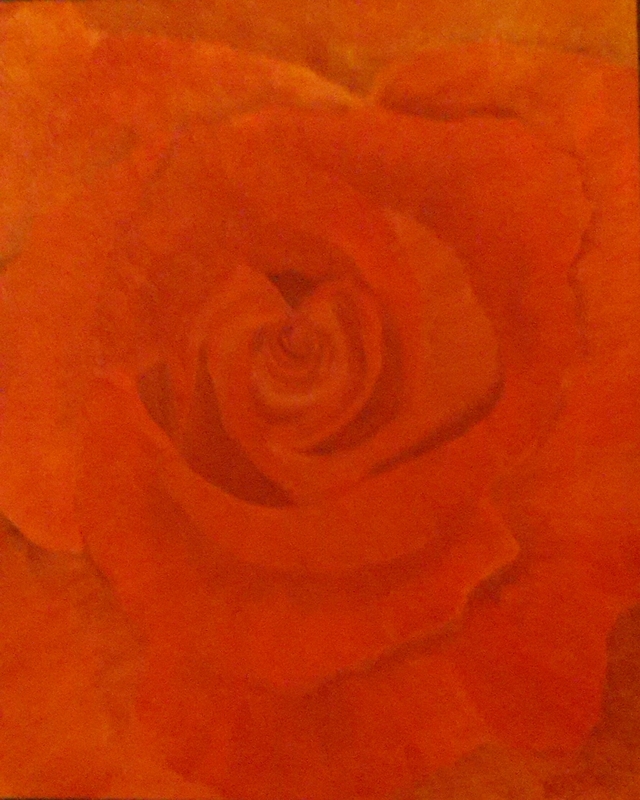 The beauty of rose flower is legendary. 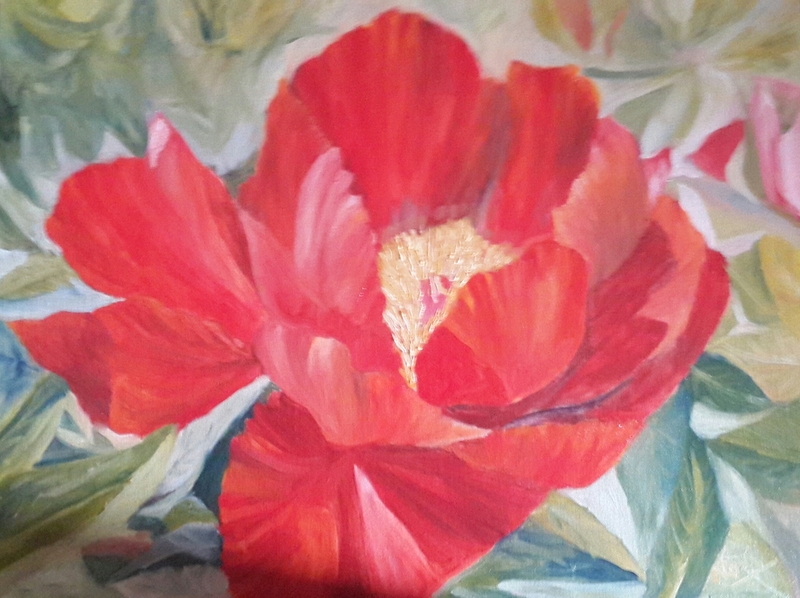 It has been etched in the pages of time by numerous poets, sculptors and artists in various mediums. 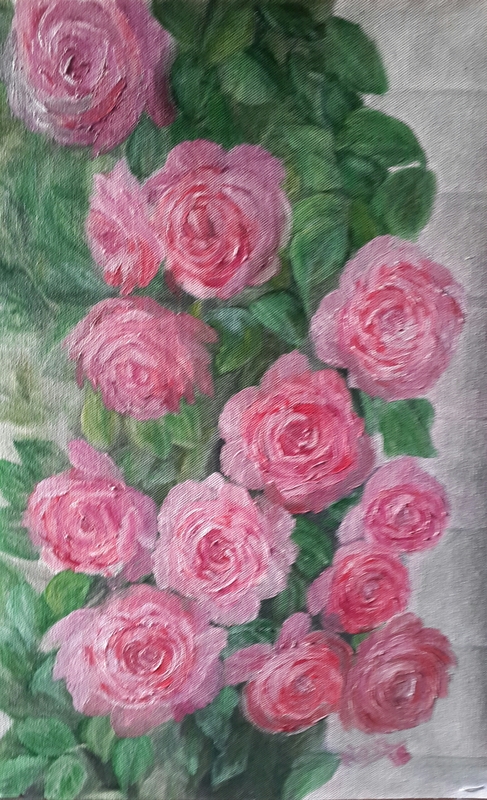 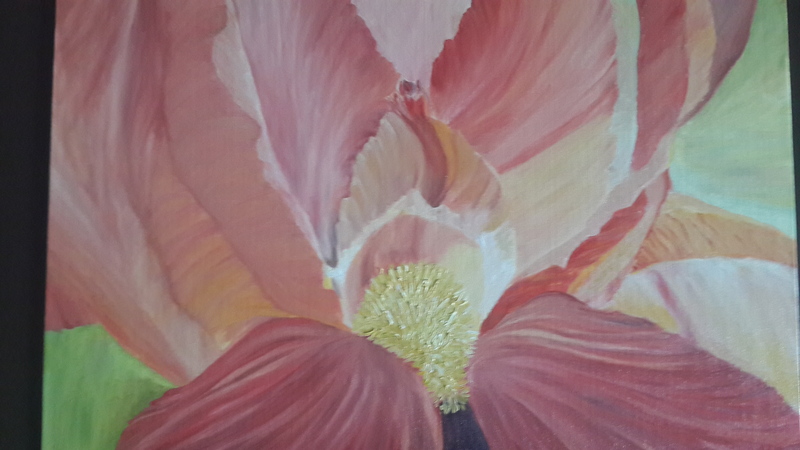 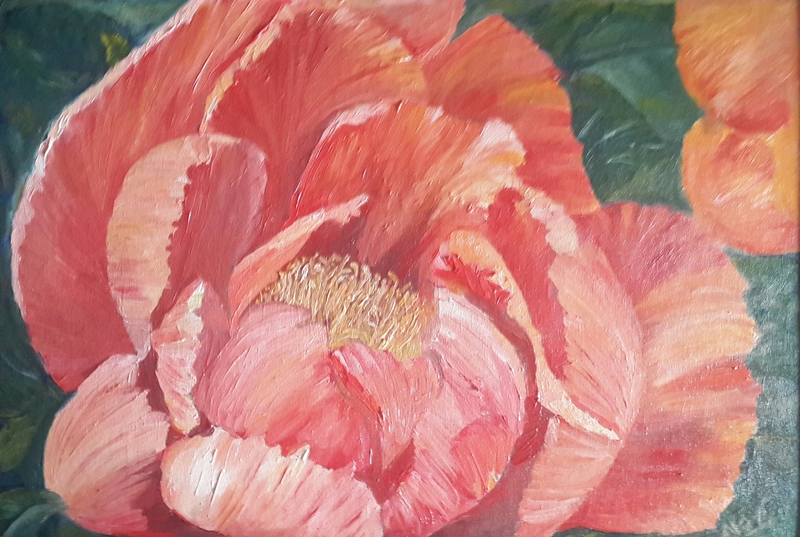 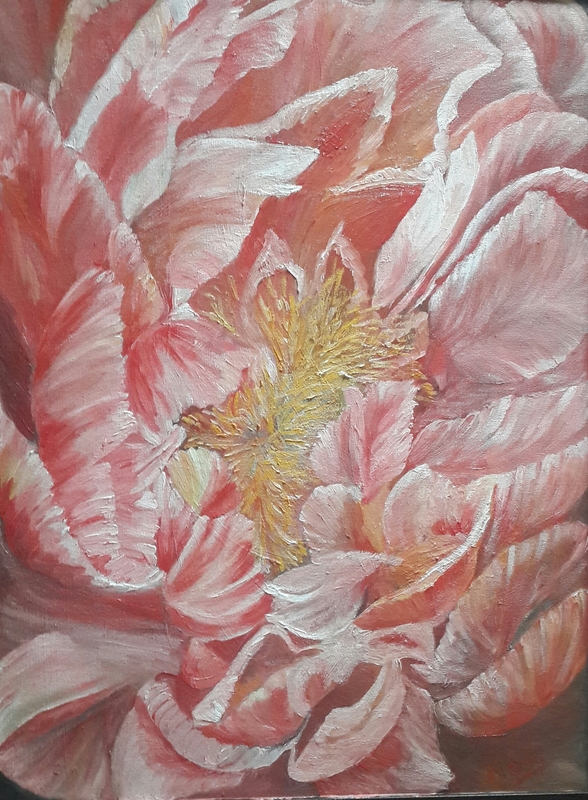 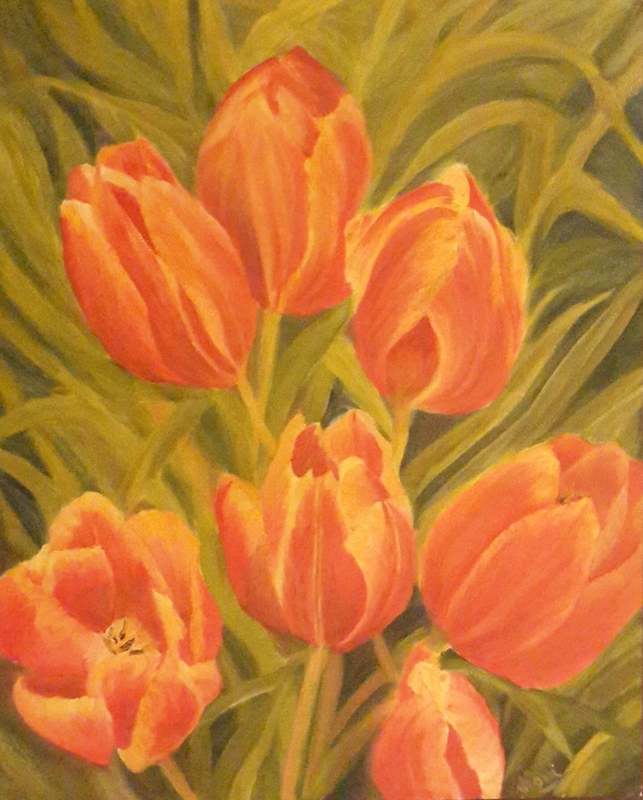 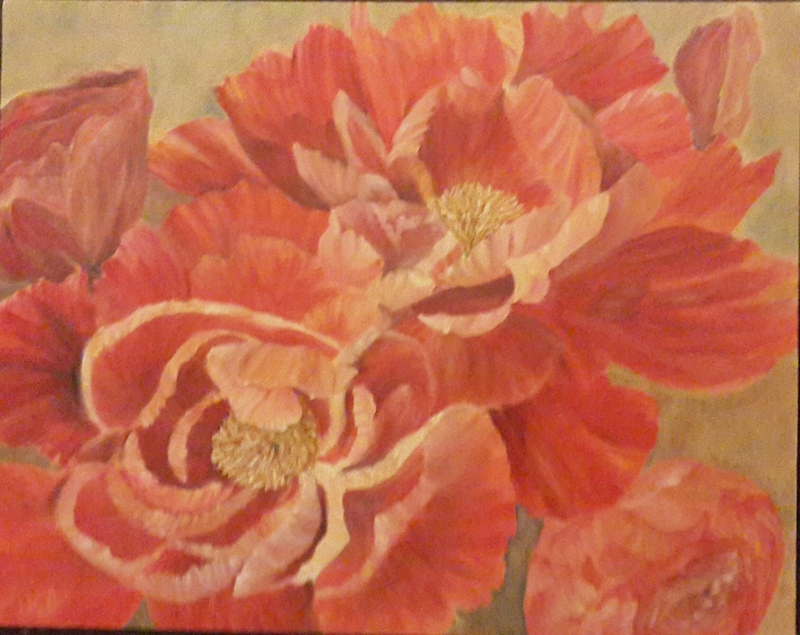 I have tries to exhibit the beauty of roses through oil paintings. 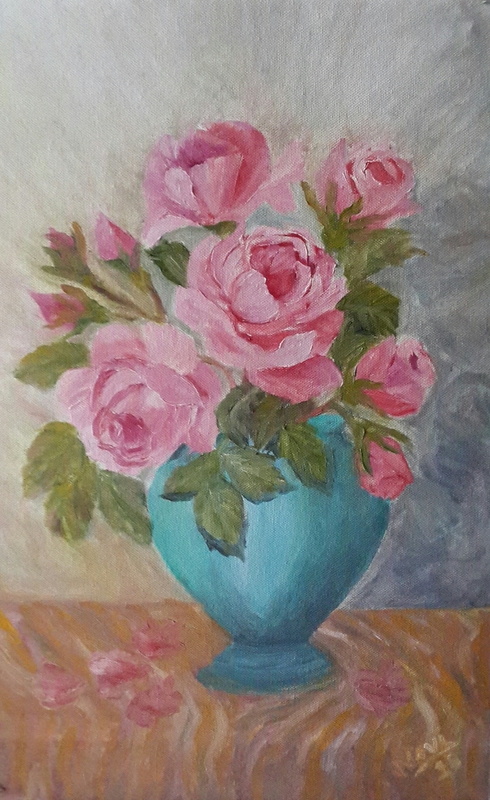 Mauve Roses is a study of light and shadows which give depth to the painting. 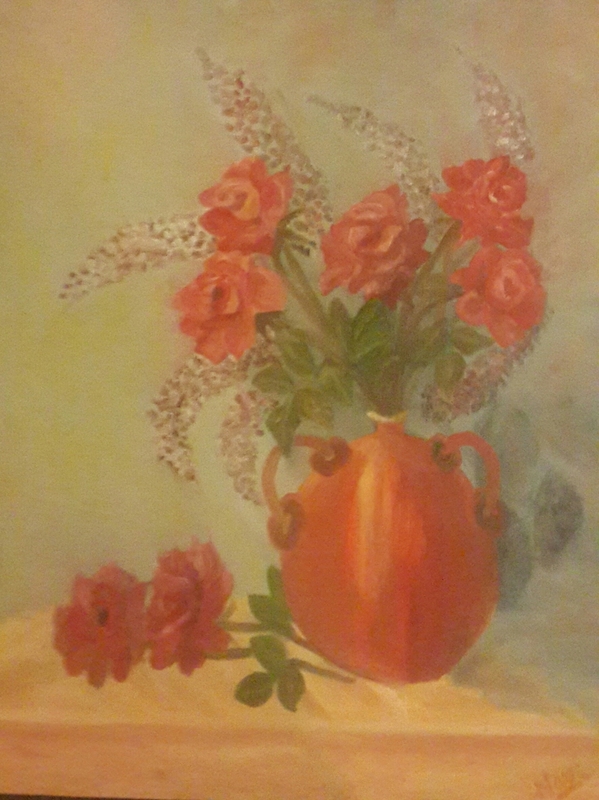 Roses have been placed in various positions. 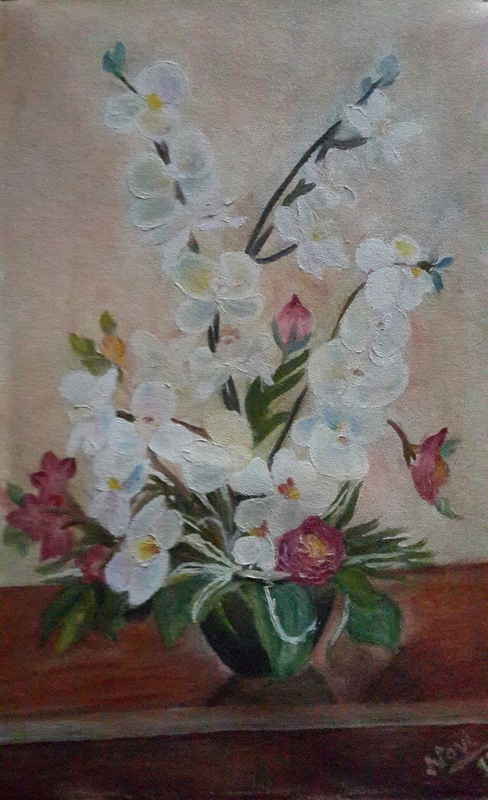 The light coming from the top left hand side falls on the composition. 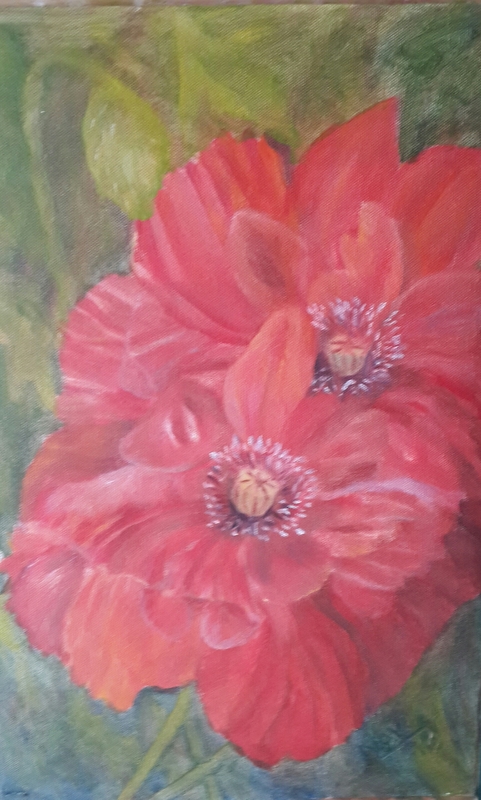 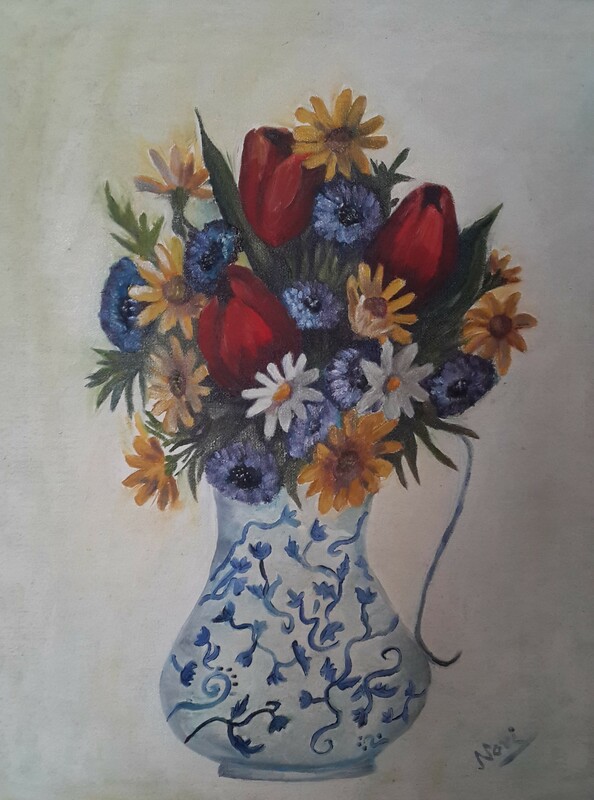 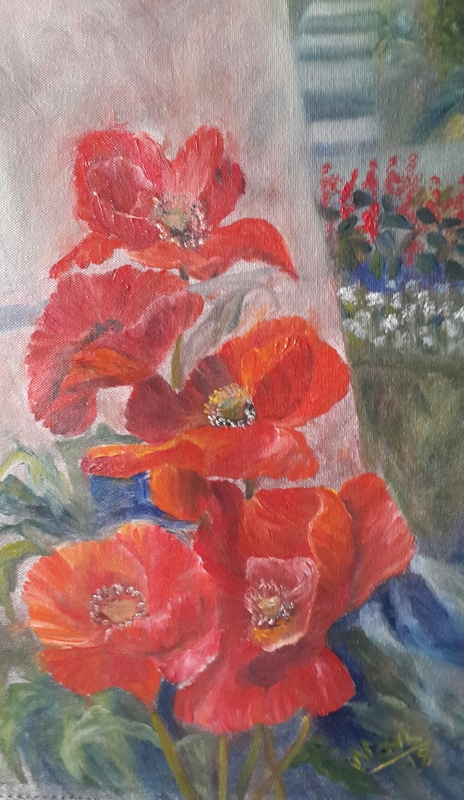 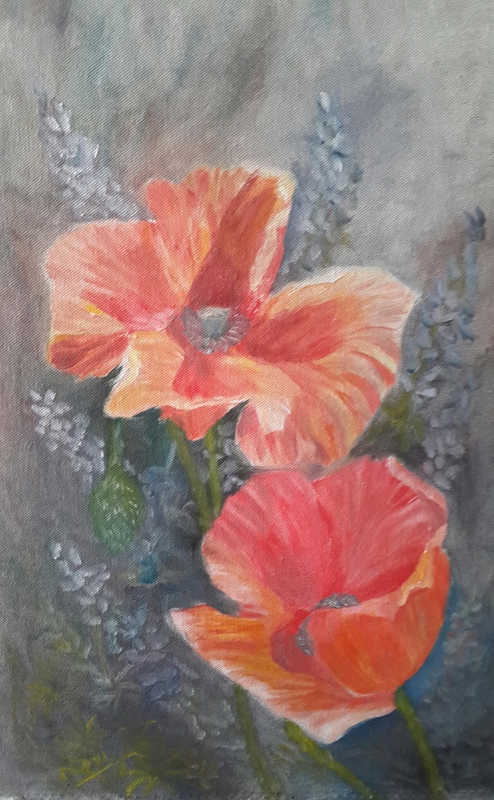 The mixes of crimson lake, vermillion hue and blues toned with whites have been used for painting flowers The warm colour of background balances cool colour of the flowers.